Sherri Steele joined Medic five years ago. 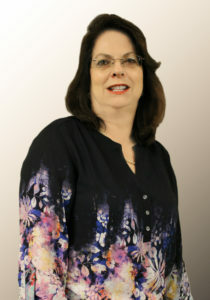 She serves in our Billing Services Department, specializing in Veterans Administration (VA) claims. Working on VA claims is very tedious and time consuming. According to Sherri’s supervisor, “she should get combat pay for for handling such challenging situations.” Despite the obstacles, Sherri always goes above and beyond to get results. She helps Medic patients get their VA claims paid by working with the local hospital medical records departments. Sherri was nominated as a Star of Life by her department manager. She was selected for her continuous demonstration of many of Medic’s core values, including putting our patients first by educating them about their benefits. Although she is not a clinician, Sherri is truly a Star. Her dedication to a job well done benefits some of our most vulnerable patients every day.